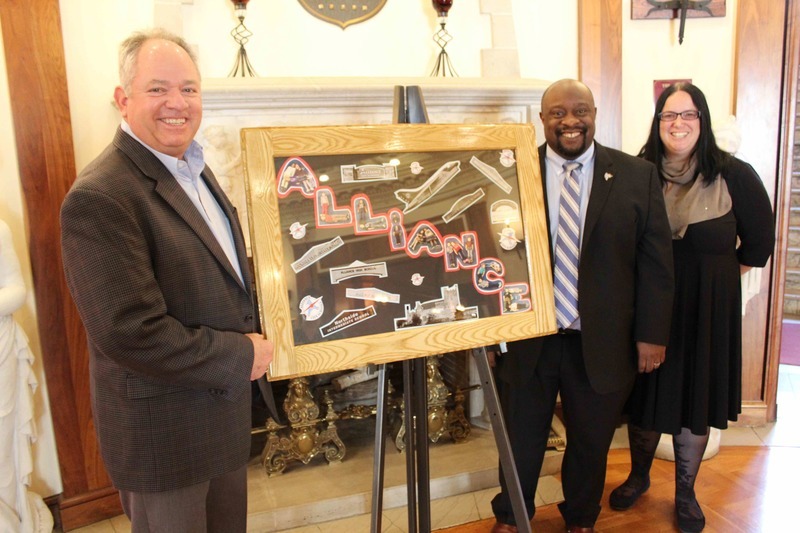 Superintendent Jeffery Talbert accepted a donation of artwork from the Alliance Foundation purchased at the Early Childhood Education Alliance Benefit Auction on April 27. The Early Childhood Education Alliance held an art auction at Jupiter Studios on Friday, April 27th. At the auction the Alliance Foundation purchased one piece of artwork created by Mrs. Bowser's kindergarten class. Mr. Carmen's industrial trades class at the High School made the wooden frame. The piece was donated to Alliance City Schools to be displayed in the Administrative offices in the Castle. Approximately 90 pieces of artwork were donated to the auction from Alliance area preschools including the Alliance Early Learning School. The goal of the event was to create community awareness of the importance of quality early childhood experiences. Nearly 100 people attended and over $4,000 was raised in support of the SPARK Alliance program and ECEA. Liz Hibbs, Director of ECEA, said while it was impressive that the community came out to support the organization and children, she was happy to show off the work of students in the area. "It was exciting for me that the community was able to come together and see the talent of these kids that I see all the time in the schools," she said. 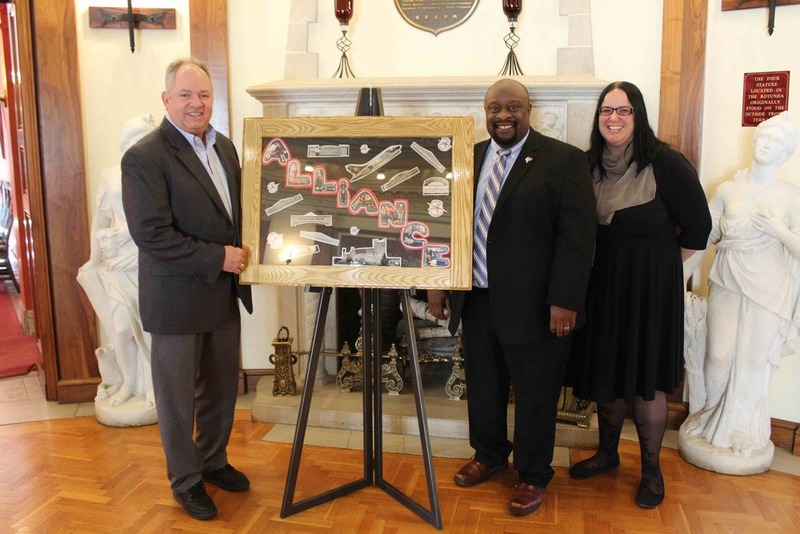 Pictured are Doug Schwarz, president of the Alliance Foundation, Jeffery Talbert, Alliance City Schools Superintendent, and Liz Hibbs, Director of ECEA with the piece donated by the foundation.